Recently, I was retained as an expert witness in a disciplinary case involving a well-respected family law attorney. In the course of discovery, the prosecutor for the disciplinary board, who handles primarily personal injury cases, criticized the attorney for failing to conduct formal discovery. Is this a valid basis for criticism? Or, to the contrary, should the attorney be congratulated for handling the case entirely through informal discovery mechanisms? In personal injury cases, the use of formal discovery is routine. Failure to do so may, in fact, be negligence. But, family law is not personal injury law. 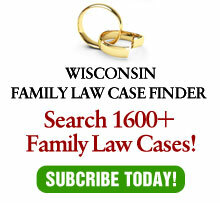 In fact, in many – if not most, family law cases, doing formal discovery may be malpractice. A significant difference between the two areas of law is the prior intimate knowledge that parties to a divorce have of each other. It is highly unlikely that two people whose cars have met at an intersection have had an intimate relationship. So, why should divorce lawyers treat the parties similar to a case involving total strangers? Occasionally, despite my request to opposing counsel to refrain from formal discovery, my client will be served with interrogatories. On occasion, I have had my client answer an interrogatory asking: “What is your name?”, with the answer: “I’ve slept with you for 30 years, haven’t you learned my name yet?” Or to the question: “How many children do you have?” with the answer: “They are your children, too. Count them yourself.” Only once has someone actually complained to a judge about the sarcasm and the judge was irritated at the unnecessary questions, finding the sarcastic responses to be warranted. Why not do formal discovery in divorce? First, there is the cost. Parties to a divorce are highly cost-conscious and lawyers need to be efficient in the use of their time if they wish to avoid disciplinary grievances and malpractice lawsuits. Third, there is often a need for confidentiality. Many a client asks the lawyer about the advisability of calling the Internal Revenue Service (IRS) about the other spouse’s fraud. A competent family law attorney will ask the client two questions: Did s/he also sign the returns? If so (and s/he probably did), the odds of qualifying for innocent spouse protection are not great, especially if s/he knew of and benefitted from the fraud. And, even if s/he would qualify for innocent spouse protection, what would be the effect on the family if the IRS goes after the main wage earner? If the IRS slaps liens on assets and garnishes income, what is left to divide or to pay to the other spouse? Several years ago, I handled a case where both spouses were IRS agents. The clients, whose tax returns were antiseptic, nonetheless insisted there be no formal discovery. Any formal discovery, especially where filed with the court, is a public record and creates a paper trail which an IRS auditor would love to follow. Finally, there is the aggravation factor. In family law cases, where there are children – either minors or adults – the parties will have had not only a past together , but a future relationship. Being served with formal interrogatories, requests for production and deposition subpoenas is unlikely to be conducive to encouraging a peaceful future. Lawyers may not be able to promote future peace, but we can avoid detracting from it. Furthermore, formal discovery is simply not necessary. The same information can be secured by informal discovery mechanisms, such as authorizations for bank and stock accounts, retirement plans and life insurance. The cost of formal discovery can be quite high, going into the hundreds and even the thousands of dollars. The cost of informal discovery, assuming a postage paid return envelope is enclosed, can be less than $1.00. So, why ever do formal discovery in divorce? There are certain cases where depositions are necessary of expert witnesses so that the lawyer will be prepared for cross- examination at trial. In some cases, it is necessary because the other side refuses to cooperate with voluntary discovery. In the vast majority of cases, however, formal discovery is unnecessary, overly costly and potentially harmful to the clients. There are cases where it is necessary due to a lack of cooperation by the other side. Moreover, for most family law cases, using formal discovery is akin to using a bomb – in some cases, an atomic bomb – to kill a fly. You sure are going to have one dead fly, but there will be substantial collateral damage as well. A fly swatter will also kill the fly, but with far less collateral damage. Given the relationship of the parties, both past and future, lawyers should always use the fly swatter first, and save the heavy artillery, unless truly needed. This article originally appeared in American Journal of Family Law, Vol. 14, No. 3.